Lombok’s topography is dominated by the centrally-located, still-active volcano, Mount Rinjani, the second highest volcano in Indonesia which rises to 3,726 m (12,224 ft). The volcano, and its crater lake, ‘Segara Anak’ (child of the sea), are protected by the Gunung Rinjani National Park established in 1997. 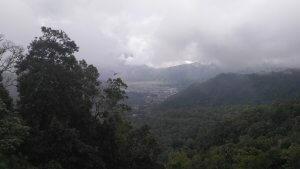 The highlands of Lombok are forest clad and mostly undeveloped. Located at 1200 meters above sea level at the foot of Mount Rinjani are the Sembalun highlands with a population of about 20,000 people. 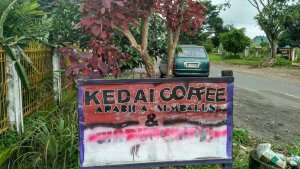 Coffee was introduced to Sembalun in 1942 by the Chinese. 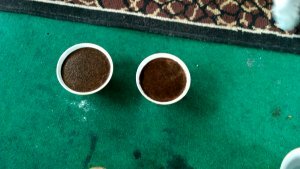 It used to be Sembalun’s most prized commodity until the dictator Suharto’s “Green Revolution” in the mid-1980s forcibly replaced coffee with garlic farming. 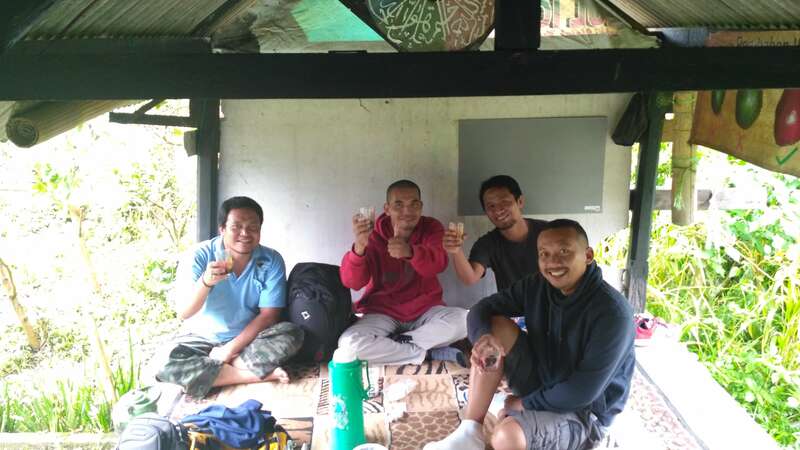 A small community in Sembalun formed a co-op of about 50 farmers in 2013 and reintroduced coffee farming with the help of some Jakarta-based citizens. The co-op markets its own coffee in Indonesia under the name of “Kopi Pahlawan,”meaning coffee heroes. Right now the total harvest of this rare coffee is only about 660 lbs a year. To put that in perspective: a 20 foot container of coffee can fit 37,000 lbs of coffee. Aswan and I were brought there by one of those friend-of-a-friend-who-knows-somebody encounters. The last of the 2015 crop was available for tasting. (They said there was a crop failure in 2016 so nothing was able to be sold.) They practice several processing styles but by far the best coffee produced is from the fall washed process. It results in a well-balanced, medium body coffee with a smooth, citrusy aftertaste. It was a winner. We bought some of the small remainder of the 2015 crop to encourage them. We are hoping with them for a great 2017 crop so we can present that to our community.